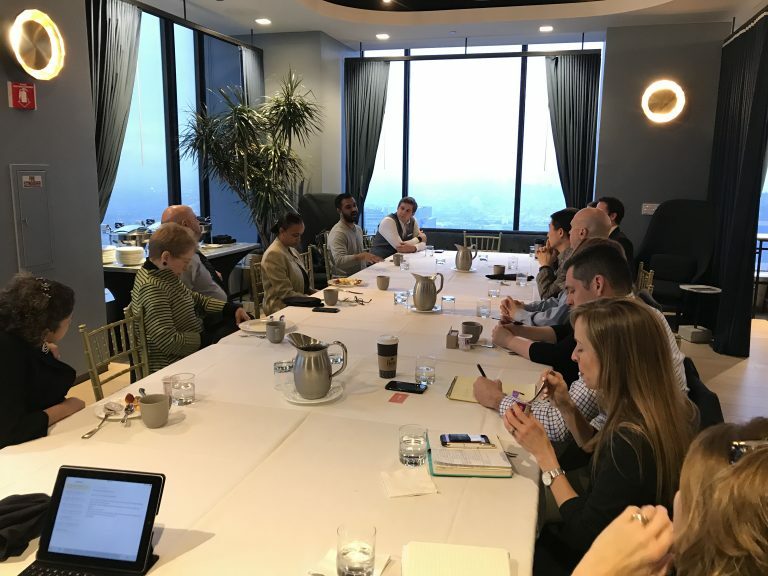 Every month, Tenant Advisory Group hosts an Executives Bruncheon to provide an opportunity for Chicago business leaders to build new, meaningful connections and discuss topics relevant to running a business. Atish Doshi- I send articles that help me connect with people. I also try and remember how I met each person. Dave Norris- I approach relationships differently depending on the person. I will ask for a receipt of a family dinner or upgrade a team member on the airplane. You have to keep employees involved. For clients, start with providing a good service, but it’s also important to spend as much time as possible with them, ie a round of golf. David Wiers- I’m a fan of lifelong learning and challenging teams to grow and learn both personally and professionally. I also do the same for my clients. I focus on culture and taking care of my people internally and externally. Bill Himmelstein- With meeting 8-10 business owners every week, I had to do something to stay in front of everyone while adding value and not being salesy. I created the monthly executives bruncheon and luncheon as a way to bring the best people in my network to meet each other and learn through a topical discussion. If you’re a business owner with 20+ employees and interested in attending future TAG events, please email Bill Himmelstein at Bill@TagCommercialBroker.com.